His rant of just work and no play was similar to the other professionals. His quest for a healthy and fit life was often disrupted by the fact that he does not have the time nor the motivation to do anything. 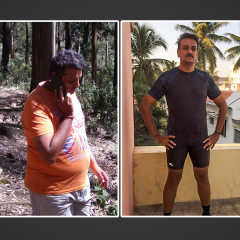 Prashant Pathak’s excuse for leading an unhealthy life was his job and erratic work hours. Until one day when his wife stepped in to make him realize that he had to change….It’s been four months and he has taken to being physically active and is back on track walking the healthy trail. My typical day when I’m at home usually involved going to work in the morning, eating anything that was available with no proper regulation of diet. I would sometimes remain hungry for long hours. Once I got home I would have a heavy dinner. On days I was on travel I would head out to work, and the rest of my day was filled with eating out and hanging out back at the hotel. 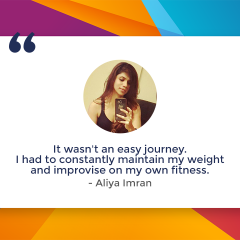 As a result of all this, I had become overweight and weighed 93 kgs which were borderline obese. I tried to get fit and have a regular exercise regime but I could never do it. My challenge was to find time for a workout. I would look at my schedule and invariably come up with an excuse to not workout. Every time it would be a new excuse. There was an aspiration but no motivation and hence no action.Then one fine day my wife gifted me GOQii. I was surprised but, a clear indication that I had to do something about myself. 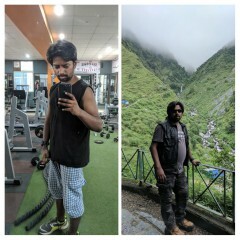 My health goal when I got to the GOQii platform four months ago was weight reduction and feel energetic through the day. My coach is PayalChoudhary. We set small monthly goals in the beginning that could be easily achievable. It was delivering results. My coach started me only with a 15-minute workout that was doable. I had absolutely no activity of any kind for so many years and suddenly to be able to do exercise was not an easy task. But 15 minutes I felt was good enough to begin with. She also simultaneously fine-tuned my diet pattern. I started having pre and post workout meals. I was having 6 small meals instead of bulky three meals. Secondly, I was also having fruits along with my meals which I was told to have before my meals. I have stopped tea/coffee with snacks. My water intake has also increased. Clearly, in the last 5-6 years, I have not been so engaged with any kind of program for over a month. But, the GOQii program has been good. The very fact that somebody is monitoring you makes you accountable. It was pretty tough. Although I was committed to this and had focus, it was still tough sticking to working out on a regular basis and eating healthy. It got easier after about month 3 months, at that point healthy was more of a habit for me. 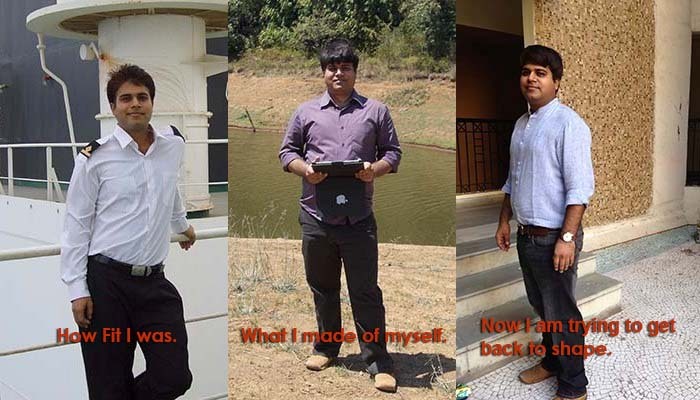 Today, after 4 months I am walking 4 to 5 km daily, clocking 10k steps daily and I have reduced my weight as well. I am currently at 88 KG from 93 KG and I aim to get close to 80 kgs. During the weekends, I alternate between cycling and swimming. And in the last one month, I have also started on interval exercises. As a result of this, the positive is that I feel very energetic and my well-being has gone up. By the end of 2016, my aim is to reach a weight of 80 Kgs. My coach has also been throwing some challenges at me. Like for instance, me being a complete sugar person, I was thrown a sugar-free challenge for a week. It was extremely difficult but I did it and now I have realized that I can curb my craving for sugar. I have the strength now mentally to go off sugar. No more do I encourage samosa parties in office. Earlier we would gorge on samosa and all that is unhealthy. Now, even if it is a party in office and a cake is being cut I politely say no and people are amazed at me.What makes me happy is that I have become an inspiration to many who think that they will never be able to do get back on track. After seeing the progress I have made they see a ray of hope for themselves. The final aspect of a good program like this is the concept of Karma. The dimension of karma is an added advantage. Earlier you would sweat it out for yourself but, here you are not only sweating it out for yourself and your health but in the process are also helping somebody else who is in need which is very enriching. 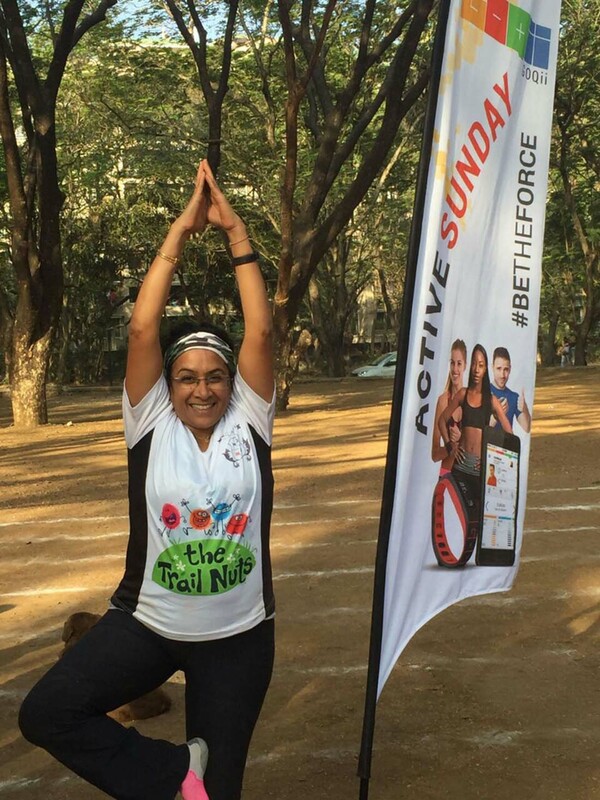 What does Coach PriyankaDeshmukh have to say about Prashant Pathak? He is a very enthusiastic person. Willing to experiment. He has been regular with his routine and is very health conscious. A very active person who doesn’t prefer to be idle.He loves adventures, he is a foodie and implements that in his daily life with amazing variations in his meal platter. So far we have achieved all goals-incorporating mid meals, 6 days workout, with one day rest, sugar-free challenge etc, and so far it’s going well. His journey has been very consistent with an awesome performance each day.